This isn’t exactly a “GTI entry.” However, my “baby trailer” spends enough time behind my GTI that it’s almost a part of the car. Since the trailer is two years old and has a fair chance of joining us on an upcoming 1800-mile road trip, I figured it was prudent to repack the hubs so that we don’t learn any tough lessons on the road. One hub was feeling a little sloppy, so I decided I’d replace the bearings instead of simply repacking them. 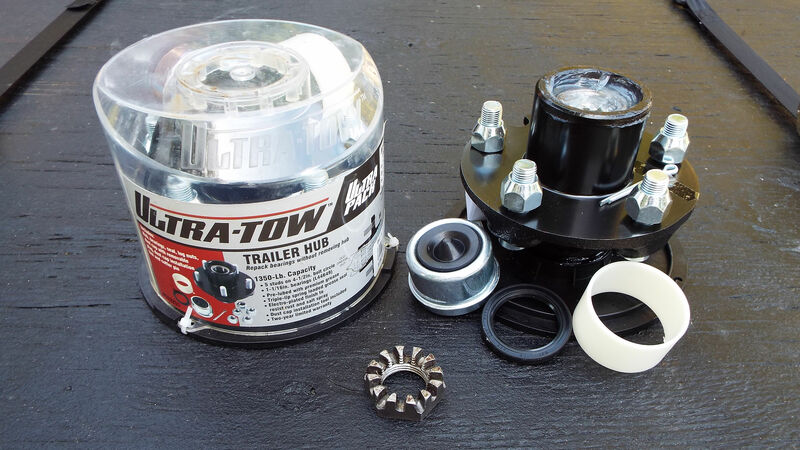 Then I discovered “XTP Ultra Pack” hubs at Northern Tool. My project evolved from repacking bearings, to replacing bearings, to replacing hubs in just a few mouse clicks. The packages are complete hubs that are prepacked with lithium grease. 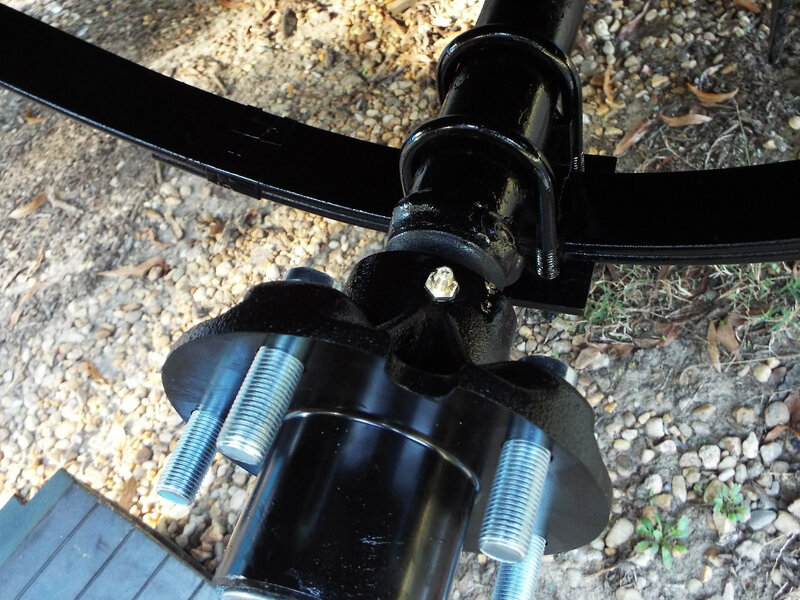 Installing them was as simple as removing the old hub, sliding the new hub into place, tightening the castle nut to 40 lb-ft, loosening the nut to “finger tight,” and then installing the cotter pin. I won’t need to repack the hubs until next year. When the time comes, all I’ll need to do is inject fresh grease into the zerk fitting behind the hub (see photo). The injected grease flushes old grease out through the front of the hub. The entire job takes just a few minutes, all without removing the hubs (or even the wheels). Trailer life just became easier. I decided to paint the wheels while they were off (I sprayed the suspension, too). I was surprised that the factory paint didn’t last longer before fading. This photo shows the dull finish after just one season on the road. Then again, these were formerly spare tires, so perhaps they weren’t coated with long-term use in mind. 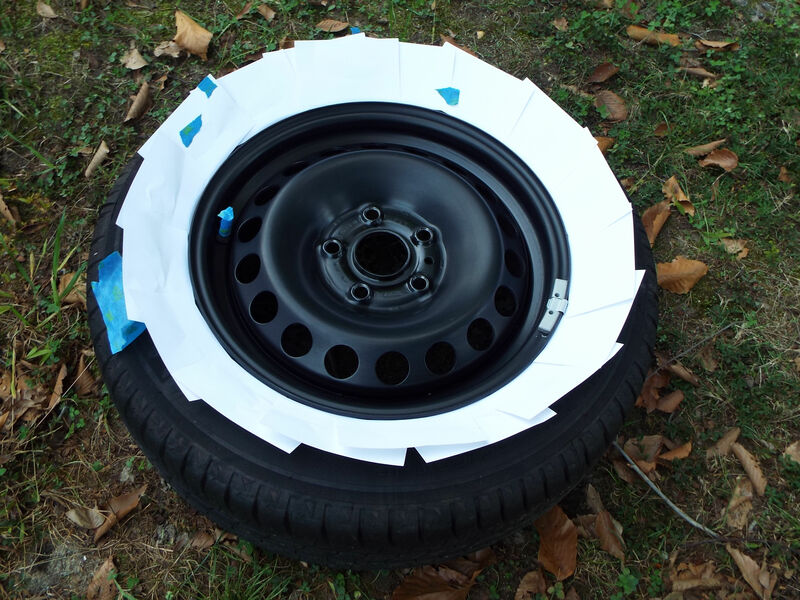 I jammed a bunch of 3×5 index cards along the rim to keep overspray off the tires. I sprayed them with gloss black paint and hope to see them look good for a while. The new hub caps still fit beneath the Tiguan center caps. I like the look! Now I just need to clean the tires after the paint cures so they match the clean look of the wheels. 😉 I’ve included more photos in the album below. Why might I bring the trailer on an upcoming road trip? With the trailer hitch and electronic panel added to the trunk (~100 lbs), the car’s cargo capacity is ~900 lbs. The three of us weigh 510 lbs and our luggage will weigh around 200 lbs (yeah, we’re taking a lot). 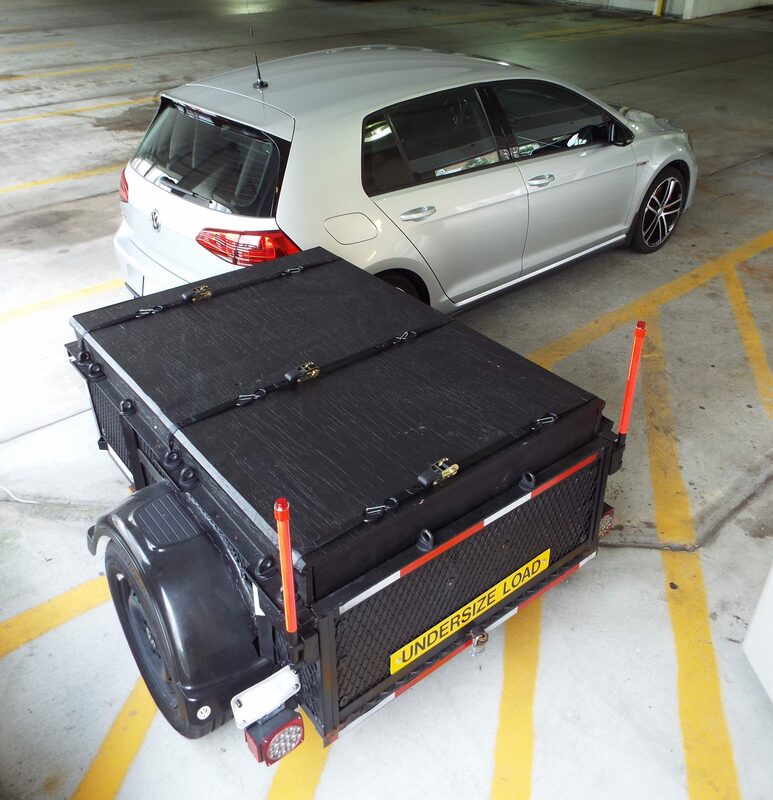 Since I don’t want any luggage riding in the back seat with my daughter, that means we’ll mount and load the rooftop cargo box, adding 65 lbs with the rack. All of that totals 765 lbs; so we’re good, right? Well, someone near our destination is selling some wheels with brand new tires. I’d like to bring them home if they haven’t sold by the time we’re ready to travel. A set of wheels with tires weighs ~180 lbs. That pushes us over my GTI’s GVWR of 4255 lbs, especially when considering that the wheels would have to ride on my hitch-mounted cargo carrier, which adds another 50 lbs. Why overload the car and risk a blowout when I have a trailer specifically for this? Putting nearly everything in the trailer means the GTI will be carrying just 650 lbs (passengers + fragile items + trailer tongue). We may even get better fuel economy since the rooftop will be clear. 🙂 Of course, all of this could fall through if the wheels sell to someone else first. That would be okay… I’m fine with traveling lighter with the knowledge that the trailer maintenance is done. (Hubs) Packed and Ready to Go! My hub has a 1-1/16″ spindle. Make sure to measure this correctly; the 1-inch hub will not fit. Here is the new hub inspection cap (painted black).